Heavy rains can cause flooding anytime and anywhere as you can see by the recent flooding in British Columbia. The SandMaster can fill and place sandbags very quickly helping to reduce the damage that can incur. . 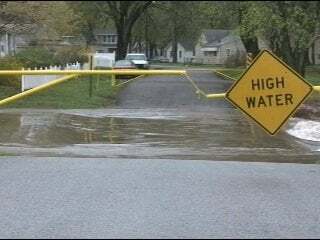 Flood Control, Is Your Community Ready? Although the flood forecasts for this spring are low, the risk of flooding is always there as you can see by the recent flooding in Missouri. Heavy rains can happen at any time resulting in devastating flood damage. Why not be prepared and eliminate the need for large human workforces to protect homes, businesses and property. The SandMaster system is the ideal system that quickly produces sandbags while at the same time drastically reducing labor and costs associated with this time sensitive need.